Question: is there a way to merge the visible layers, saving the result as a new layer and preserving the source layers? Answer: yes. It's called Stamping. 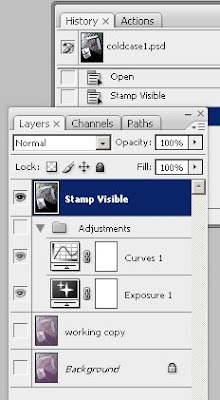 Stamping layers makes it possible to merge the content of several visible layers into one new target layer. You can either press Ctrl+Alt+Shift+E (easy for those without arthritis) or hold the Alt key down whilst choosing Merge Visible. Just remember that in doing this, you are adding file size. I received a number of calls and e-mails about the Auschwitz scrapbook show that aired on the National Geographic Channel last night. There were some specific concerns that I wanted to address. First, I just wanted to say that I enjoyed the show and think that all involved did a great job of telling a difficult story. There are so many strong feelings about this subject, and I have my own, that this show stirred up a wild debate. With that in mind, I'll try to answer most of the questions and concerns (grouping the similar together to keep things brief). Question: why didn't you measure all of the soldiers in the pictures? Answer: we did. We were very concerned about looking like were were focussing too much on this particular subject, so we looked at the others as well. Unfortunately, that part of the tape did not make it past the edits and into the show. It isn't a show about the forensics or a who-done-it. It is a show about Karl Hoecker's photo album. Question: the testimony centers around some officer named Hoecker. Were there any others there with that same last name? Answer: yes. I received known photographs of another Hoecker stationed at the camp during that time. He was of a different rank and station and thus had many noticeable differences to his uniform tunic. The comment that I made, "the extra step and the extra step and the extra step ..." was meant to illustrate the depth that the folks at Creative Differences went to to try to prove the point and cover all the bases. Not just how many men were 1.75m, but how many 1.75m men had similar measurements across the beam, down the arm, and so forth. I also made the comment that was not included in the broadcast that while both the famous Boston Celtic, Kevin McHale and I share about the same height and we have about the same colouring ... we are drastically different in proportion. I have relatively short legs for someone of my height while his arms are seem so long as to be out of proportion. Taken individually, these things may mean little. But add up all of these little pieces and you can begin to rule people out. Who are you left with ... ? It's for the jury to decide. On the whole, I enjoyed working with their team. I was fascinated by the prospect of matching Photoshop and image analysis with Maya. Their math checked out. Their process was repeatable and well explained. I think it speaks well for future exploration of this type of work ... Photoshop and Maya. I want to stress again that it's not a show about the technology or a forensic analysis of these images. It's a show about Karl Hoecker's photo album. The album adds a new chapter in what's known about the time and what happened at Auschwitz. The technology, however, was an interesting side-line. If you missed it or want to see it again, it's on again on May 4th at 11am. Thanks again for your e-mails and calls. And thanks again for your support. This just in from the AP: "Bank employees weren't trying to give police bad information by misidentifying a robbery suspect; they just had faulty memories. But a Maryland forensics investigator's work prevented a wrongful arrest." Thus begins this piece on the power of visual evidence and the potential problems with eyewitness testimony. On Sunday night, April 27th at 9pm, check out "Nazi Scrapbooks from Hell" on the National Geographic Channel. This show tells the story of the Hoecker / Auschwitz photo album and features the use of Photoshop and Maya in an interesting new twist on Photogrammetry. You've read a few posts alluding to this show ... teasing you with notes about the photo album and the article in the New Yorker. Well ... the wait is over. Check it out tomorrow on the National Geographic Channel. Many thanks to Peter and the folks at Creative Differences for inviting me to take part in this amazing project. By now, it's well known that I'm a fan of PictoColor's iCorrect EditLab Pro. Did you know that you can use this handy plug-in to handle your black and white conversions? This outstanding feature is part of the 4th tab of the interface. Check out this tutorial and you'll see why this plug-in is one of my must-have tools. XP SP3 - wait and see? By now, most have heard that Microsoft has released Service Pack 3 for Windows XP. Most are installing SP3 and experiencing no troubles, I am taking a wait and see attitude. Check out the link and read some of the talk-backs. Not everyone is having such a good time with SP3. With specialised software like Avid MCA and the Adobe Creative Suite, my experience has been mixed with Microsoft's service packs. I'll test it first in a Virtual Machine and throw various installed software combinations at it before I turn it loose on any "actual" machine. If you've taken the step of testing SP3, send me a note and let me know how it worked out for you. I received a question in the mail about CCTV and liability. Interestingly enough, a similar question and answer was posted on SecurityInfoWatch about a year ago. It's so close that it fits perfectly in answering the reader's question. "One of our clients is reluctant to install cameras because they believe it increases liability. Our experience is a camera system decreases liability since the owner is taking steps to provide a secure facility. But if the system is not monitored live does this give the occupant a false sense of security? Have you ever heard where an owner is liable for cameras that are not monitored live or liable for systems that do not have complete coverage of parking areas? And does an owner legally have to post signs stating area has surveillance cameras and/or is being recorded?" For the answer, we turn to SecurityInfoWatch "Legal Side" columnist Ken Kirschenbaum, Esq., a New York-license lawyer practicing with Kirschenbaum & Kirschenbaum PC (a Long Island legal firm with a rich history of assisting clients in security and alarm-related matters). Click here to read his reply. The Supreme Court ruled on a Virginia case that deals with the ability of police to conduct searches. Check out the article here. "The Supreme Court affirmed yesterday that police have the power to conduct searches and seize evidence, even when done during an arrest that turns out to have violated state law. Looking to state laws to provide the basis for searches would introduce uncertainty into the legal system, the 18 states said in court papers." The Scientific Working Group on Imaging Technology (SWGIT) has just released two NEW draft documents for public comment and feedback. Section 16 - "Best Practices for Forensic Photographic Comparison"
Section 17 - Digital Imaging Technology Issues for the Courts"
Any comments should be directed to SWGIT. The instructions are on the linked page. Looking back on the history of computer based imaging, here's a cool link to an old ADPro sales video. ADPro, from ASDG, was THE Amiga based image editor in the late 80's and early 90's. Notice how you can convert from one format to another with ease. How about working with a colour palette that contains all 256 colours. Amazing. Here's an interesting link from About.com called "whatever happened to ..."
And finally, here's a link to a broadcast of 1988's MacWorld Expo. The latest issue of Evidence Magazine should be in your mail box. If you are not a subscriber, jump over to the web site and sign up for your free subscription. This issue's feature articles are outstanding. ... and breaking news from the New Hampshire Supreme Court ... as it considers a case where testimony from a latent print examiner was excluded. The folks at Planet Photoshop have stumbled on to the Forensic Photoshop blog. They even put a nice write-up about the blog on their site. Check them out. They're a great source for Photoshop news. In case you missed it, the latest update for Adobe Camera Raw was announced last week. If you don't have automatic updates selected, click the link to download it from Adobe. And Lightroom users, Adobe Lightroom 1.4.1 was released last week as well. With the new beta version (and version 2 when it comes out), we'll be taking a closer look at Lightroom for Forensics in future posts. In answering a recent e-mail, a question came back, "what's a specular highlight?" Good question. Here goes a shot at explaining highlights. The "highlights" of an area should contain detail. 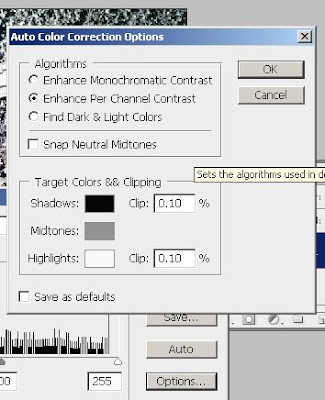 For example, when using the Color Sampler Tool to select a highlight, you'll want to select a "white" area that has some detail to it. You'll want to stay away from the bright parts of metallic objects, light sources, or reflections. These areas are known as "specular highlights" and do not contain detail. Thus, when using a Curves adjustment to re-map black and white, stay away from the specular highlights when choosing your white point. 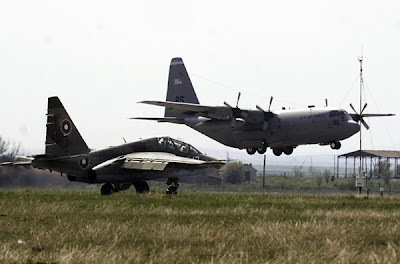 A Bulgarian air force SU-26 yields to a C-130 Hercules landing at Bezmer Aviation Base, Bulgaria, following a tactical sortie conducted during Exercise Thracian Spring 2008. Aircraft and people from Ramstein Air Base, Germany, are participating in the annual bilateral training exercise. In response to a reader's question, here's a tip on using Levels adjustments to correct exposure issues. Perform the first steps of the workflow, open the image and correct for focus. If there is a colour cast or haze, use a Curves adjustment to correct it. Add a "blank" Levels adjustment and set the Blending Mode to Multiply. Then add a second Levels adjustment and make your corrections there. 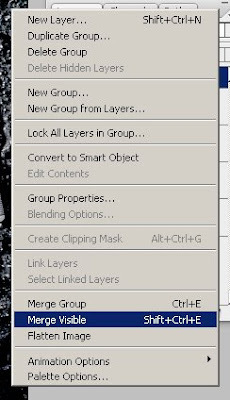 You can Group your adjustments if you choose by selecting the adjustment layers and choosing New Group from Layers. This technique works from CS3 back to at least version 5. I know that I'll get a few responses telling me at this image can be corrected faster using ACR ("... just kick up the exposure a stop and a quarter ..."). I realise that. Unfortunately, we are still addressing the fact that many agencies are having funding issues and can't keep up wit the cost of software updates. Question: what is Non-Linear History and what does it do? Answer: The Non-Linear History option goes back to the creation of the History palette in Version 5. By now, most are used to the History palette. It's like a list of available undos. Don't like how things are going? Open up the History palette and go back to an earlier point in your work. This is the default way of working with the History palette - a linear way of working. Non-Linear History works a bit different. Select a previous state or snapshot and you'll revert to that point. The next task that you perform will build from that point. Just like Linear mode, the new states will be added to the bottom of the list. With Non-Linear History, those intermediate states (the ones that you un-did) stay in the palette. They aren't removed or dimmed. They just stop contributing to the image. The main advantage to Non-Linear mode is that you retain everything. Nothing is thrown away - every step is preserved even if you've reverted and moved on. This can save time later if you decide to go back to one of these "off-line" states to try something else. The disadvantage is the confusion caused by the fact that there is no clear way of looking at the palette and telling which states are "on-line" and which are "off-line." My advice ... if you are using Non-Linear History - take a lot of snapshots and label them descriptively. 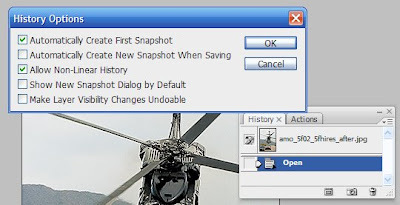 If "save early-save often" is part of your mantra, then consider checking the box for "Automatically Create New Snapshot when Saving." Thanks again for the great question. Keep them coming. "Last week at Photoshop World we announced the Public Beta of Lightroom 2.0 which is now available for FREE download on our website. For those of you who are photographers - especially if you're working with Raw images - Lightroom is a superior way to process your images from capture to consumption." Needless to say, we'll be evaluating the new Lightroom's value and appropriateness for the forensic workflow. If it works out, we'll incorporate some Forensic Lightroom tutorials into this space. NaTIA members, don't forget to sign up for the pre-conference Photoshop training at Adobe headquarters. From what I've heard, Rick will be one of the instructors there. You do not want to miss this event. It's not often that we get a chance to visit Adobe and receive training direct from their engineers. Your prints are only as good as the paper they are printed on. Many printers have the option to select Paper or Media type. In my case, I selected Premium Glossy Photo Paper, which is as close to a match for the name listed on my paper's packaging (in this case it was Office Depot's High Gloss Photo Paper). The printer reacts differently depending on the choice you make. If your prints are over-saturated and blotchy, but look great on the screen ... check to see that you have made the proper paper selection in your print dialog. A quick question came in about "the little diskette on some of the dialog boxes in Photoshop." Clicking on this little icon allows you to save the dialog's current settings so that they can be applied later. Once you click, you are prompted to name the new settings. Use something descriptive to help you remember which settings go to which photos later. Then, once saved, these settings will appear in the Settings drop-down menu. 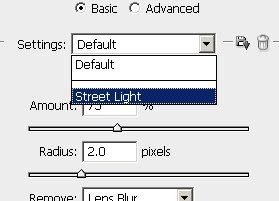 Now, just select the new settings to apply them to the next image. With this handy little tool, you can speed up your workflow. Check out this review of State vs. Swinton and its impact on the authentication of digital images from the Stetson University College of Law. the exhibit is properly identified as the output in question"
I've been engaged in an on-going discussion about standards and practices in the "generic forensic imaging lab." The Swinton Six can serve as template to frame discussions of this nature. What do you think? Where do you stand vs. the Swinton Six? As I transition away from Windows, this post should get filed under "better write this down before I forget it." Speeding up the Start Menu - as you install more application, the size of the Start Menu grows. No matter how much RAM you've installed, the menu still opens at the same slow speed. Unless .... Click Start, select Run, and type regedit. Browse to HKEY_CURRENT_USER\Control Panel\Desktop. Double click on MenuShowDelay in the right hand pane. Change the value from 400 (slow) to 10 (fast). Reboot your machine and enjoy your faster Start Menu. 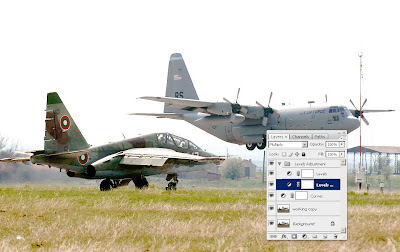 Alt+Print Screen - Grab a screen shot of just the active window and save yourself some time by not having to trim out unwanted areas in Photoshop. Ditto - Ditto is an open-source extension to the standard windows clipboard. It saves each item placed on the clipboard allowing you access to any of those items at a later time. Ditto allows you to specify what gets saved, text, images or html. Download it here. Here's an older link, but still a very good source of information on Expert Witness qualifications and testifying as an expert. "Expert need not be an 'outstanding practitioner in the field in which he professes expertise.' United States v. Barker, 553 F.2d 1013, 1024 (6th Cir. 1977) . 'An expert need not have certificates of training, nor memberships in professional organizations . . . . Comparisons between his professional stature and the stature of witnesses for an opposing party may be made by the jury, if it becomes necessary to decide which of two conflicting opinions to believe. But the only question for the trial judge who must decide whether or not to allow the jury to consider a proffered expert’s opinions is, ‘whether his knowledge of the subject matter is such that his opinion will most likely assist the trier of fact in arriving at the truth' Id"
GovernmentVideo.com has an article from Wayne Cole that looks at some of the problems in dealing with digital CCTV files. In it, he proposes a way of using Photoshop CS3 to reassemble JPEG files from certain Sanyo DVRs into QuickTime movie files. "There is another way to produce a video clip with this storage scheme, albeit without readable date/time stamps. 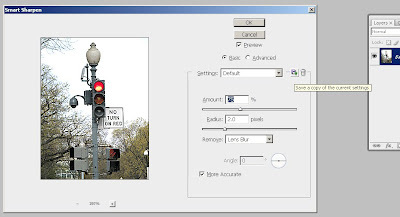 Using Adobe Photoshop CS3 Extended, the JPEGs can be imported as an image sequence into a video or animation layer, resized to standard video dimensions and pixel aspect ratio, then exported to QuickTime ..."
"Photographers take pictures of nouns (people, places and things). Photojournalists shoot action verbs ("kicks," "explodes," "cries," etc.). Photojournalists do shoot some nouns. These nouns can be standard photos of people (portraits), places (proposed zoning areas or construction sites) and things (name it). However, the nouns we seek still must tell a story." "Like the police officer or firefighter, the photojournalist's concern is his community even if that means sacrificing comfort or life. Many photojournalists die every year in the process of collecting visual information, which lets the public know of atrocities, dangers and the mundane." Check out the rest of this outstanding article at Mark M. Hancock's Photojournalism blog. Whist there, check out his "Quick tips to improve your photos." I know a lot of folks on the imaging side work with audio. Here's a link to the latest copy of Adobe Edge and the article - Create great sound experiences with Adobe Soundbooth CS3. For those of you who are ADS customers, Soundbooth works great with those Eagle, Flex, Hawk, and Falcon recordings. The folks at Photopreneur.com have posted an interview that they conducted recently with your humble host. Check it out by clicking here. The H.264 SVC Layered Structure. Here's a link to an article explaining the new variant of the H.264 codec - H.264 SVC. An interesting development as a spin-off of H.264 AVC. I was contacted by the owner of Photopreneur.com recently for an interview. Whilst answering his questions, I was checking out his site and blog. There is a ton of interesting stuff over there. A few of the threads reminded me of a fellow at a local agency who has just retired and is looking for a way to turn his love of photography into a money making hobby. I know of others who love photography and are looking to just make some extra money without quitting their day job. Take a look at Photopreneur.com. It's well worth a visit.